Our purpose is to glorify God and enjoy Him forever. If you are looking for God-centered worship, verse by verse teaching through the Scriptures and a church that will care for you personally then look no further. Our mission is to make disciples who are mature and multiply themselves reaching the world for Christ. We invite you to come by and visit with us. Casual dress is welcomed. Click on Contact Us for more information. "For I know the plans I have for you, declares the Lord, plans to prosper you and not to harm you, plans to give you hope and a future." - Jeremiah 29:11. Psalms 139:16 Says "Your eyes saw my unformed body. All the days ordained for me were written in your book before one of them came to be." God has a hope and a future for you. He has a date book with your entire life planned out for you. I grew up in a home with eventually two alcoholic fathers and no spiritual influence. But then one day at a public high school a man came to speak whose father had been an alcoholic, but he spoke that God had a plan for his life and my life. That day he shared with me God’s plan for my life from the Scriptures. That day I accepted His plan for my life and my life has never been the same since. What is God’s plan for your life, you may ask? God Loves You and wants you to have an abundant life. - John 3:16; 10:10; 6:47. God wants you to have eternal life and the abundant life now. God cannot let sin into heaven; otherwise it would ruin heaven, because God is perfect and holy. He cannot be contaminated by sin. 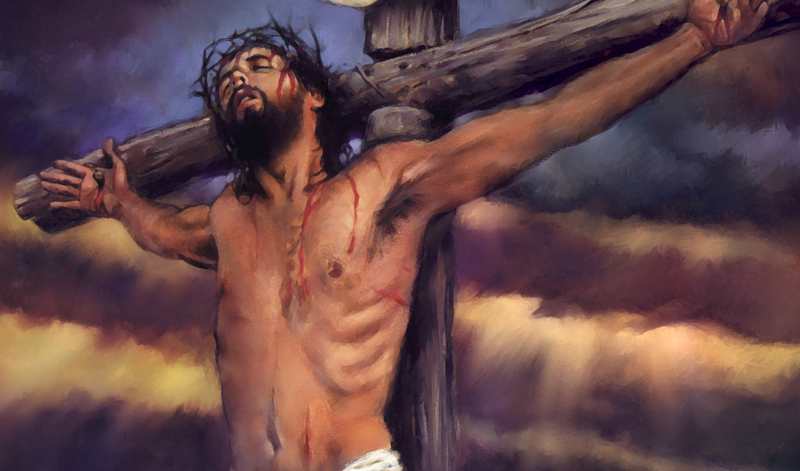 Man has sinned and come up short of perfection - Romans 3:10, 23; 5:12; 6:23. 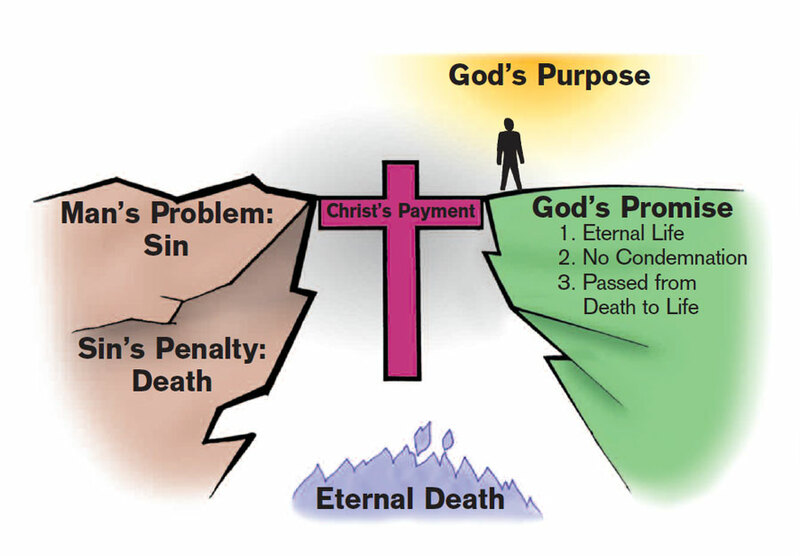 Many people feel they are good enough to get to heaven, but the problem is that does not do away with our sins. 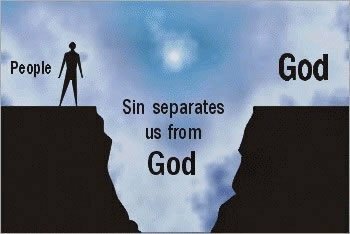 And God cannot let one sin into heaven (James 2:10). It’s like trying to jump the Grand Canyon. You may be able to jump 25 feet across and I may be able to jump 22 feet, but the problem is that both of us fall way short. The gulf between our sin and God’s perfection is too great to bridge. Or think of it this way suppose you only sinned three sins at day that would come to 70,000 thousand sins in a seventy year life span. Is God going to let someone into heaven with 70,000 sins? Yet most of us will probably exceed more sins than that number. While God loves us, in order to remain perfect and just He must punish sin. Sin must be punished otherwise God would not have perfect love. For true love cannot tolerate sin. So what can I do you may ask? Repentance means a willingness to turn your life over to the Lord and let Him change you. Commit means that you believe that Jesus Christ died for your sins and rose from the dead to give you eternal life and His plan for you. Commit also means that you are willing to follow and obey Him from this day forward. It’s like a marriage commitment. You can think that person is the right one for you, feel that they are the right one for you, but until you as an act of your will give yourself to that person, you have not really made a commitment. But when you make that kind of commitment to Christ then you will discover that God has a plan for your life (see Ephesians 2:10). * Start reading the gospel of John daily. * Talk to God in prayer each day. * Get into a good Bible preaching Church. * Tell someone today about your commitment. This is what I currently use. I do all my Bible study and Sermon preparation on this app. They have many Bibles, commentaries, and study helps that are free. But then you can add to your Library any you want to purchase over time. The beauty of the Olive Tree Bible study app is that it is available on PC's, smartphones, and tablets. When I do Bible study on my smartphone, then the notes sync with my tablet, and pc. I can carry a huge volume of books on my smartphone and it syncs to all my devices. This is an excellent free Bible study program. E-Sword is a feature rich and user friendly free Windows app with everything needed to study the Bible in an enjoyable and enriching manner! Is a great daily devotional. You can also read through the Bible in a year along with the daily devotional. You can read it online and get it as an app on your smartphone or tablet. The app may not be free but the cost is low and helps the ministry. It is a one time cost. Another great free Bible resource. They have many Bible versions, notes, and the ability to read you the Bible. This app has a great social aspect so that you can collaborate with others on your study. The app is available for PC's, smartphones, and tablets. He has the Turning point app for your smartphone and tablet or you can go to www.davidjeremiah.org. It has his radio broadcast, television progam, daily devotions, and his study Bible. He has the Grace to You app for your smartphone and tablet or you can go to www.gty.org. There you will find a huge archive of sermons by Scripture and/or topic. You can listen to them or download them to your device for free. He also has blog articles and devotionals to read. You can find this resource for your smartphone and tablets.